Obituary – Harms, Lyle « Perry High School Alumni Association, Inc.
Lyle Harms, resident of Tulsa and former Ponca City resident, passed away at his home in Tulsa on September 23, 2010. He was 83. A memorial service celebrating Lyle’s life was held at 2:00 p.m., Saturday, September 25, 2010 at the Hartford Avenue Church of Christ. Don Huddleston, minister for the congregation presented the eulogy and memorial thoughts, Ron Pitts led the congregational singing. Arrangements were under the direction of Trout Funeral Home & Crematory. Lyle was born on August 16, 1927 to Earl Harms and Annetah Barten Harms in Leedey, OK and moved to West Plains, MO at an early age. He was married to Mary Broadway on July 26, 1955 in Beeville, TX. He is survived by his wife of 55 years, Mary Harms; by son Larry Harms and wife Paula of Cypress, TX; daughter Janice Hendricks and husband Rick of Tulsa, OK; brother, Earl Harms and wife Garnett of Perry, OK; and sister Iris Rosser of Stillwater, OK; He had four grandchildren, Ryan Harms and wife Allison, R. F. Hendricks, Adam Harms and Mary Hendricks. He was preceded in death by his parents. He was a baptized believer in Jesus Christ and was a life long member of churches of Christ including almost 50 years as a member of the Hartford Avenue Church of Christ where he served as an elder and deacon. Lyle was passionate about evangelism and missions, and was actively involved in efforts in Spain, Africa, India, Cuba and Central America. For the last 10 years he was devoted to reaching out and ministering to prisoners in the Kay County Jail. Christian higher education was very important to Lyle. 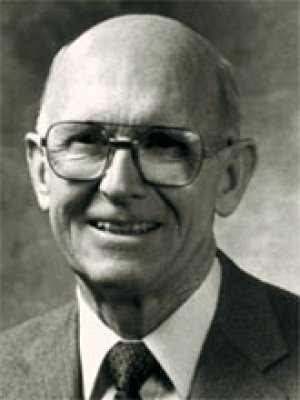 He served on the Board of Trustees of Oklahoma Christian University for almost 30 years where he was instrumental in starting an engineering degree program. He also served on the Board of Trustees for Cascade College in Portland, Oregon and African Christian College in Swaziland. Lyle served in the United States Navy and then attended Oklahoma A&M College receiving a degree in Mechanical Engineering. He had a 35 year career with Conoco and was involved in construction projects around the world. At Conoco, Lyle spent time as the Chief Construction Engineer and as Assistant Manager of the Central Engineering Department. He managed the Maintenance Engineering Department for 14 years. Lyle spent his life serving God and others and will be sorely missed by all who knew him. Memorial contributions may be made to the Harms Engineering Scholarship at Oklahoma Christian or to African Christian College. Brother Lyle Harms, a humble, devoted servant of God finished his earthly course in the early morning hours of Thursday, September 23rd. He had attained the age of 83 and for most of his life enjoyed good health and energy. Earlier this year he became ill and found it difficult to find the strength for his many activities. Early in the summer he was diagnosed with cancer. Though in recent weeks he spent most of his time sleeping, thankfully, he was not in any pain. To the very end, he and Mary maintained their confidence that God is good and that regardless, all would be well. A memorial service was held on Saturday the 25th at the Hartford Church of Christ (1905 Joe Street). At Lyle’s request, there was also a brief graveside service for family members earlier that morning ast Resthaven-Sunset Memorial Park in Ponca City.